"Chris Davis #19 of the Baltimore Orioles in action against the Colorado Rockies at Oriole Park at Camden Yards on August 18, 2013 in Baltimore, Maryland." 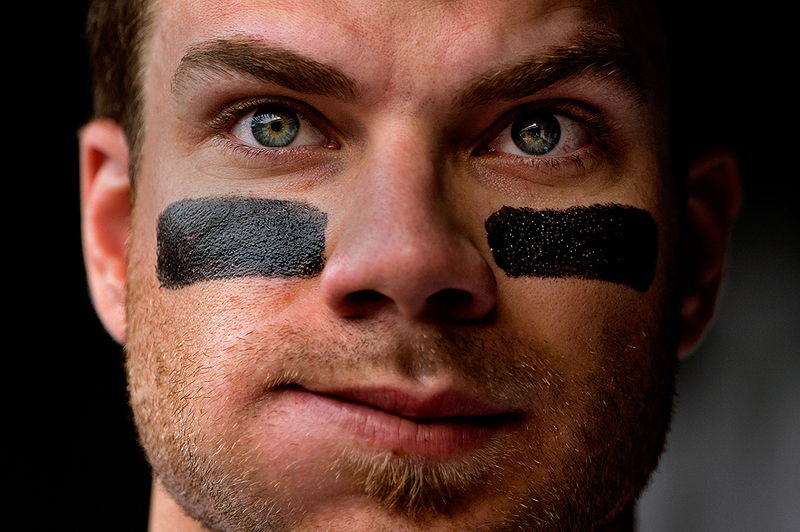 I recently had the privilege to work on an assignment for Sports Illustrated to photograph Baltimore Orioles hitter Chris Davis. Known around the city as "Crush" - he leads the majors with 48 home runs. While it wasn't behind the scenes, all-access type of assignment - it was a fresh perspective to follow the big-time slugger with my lens around the field. By ignoring most of the rest of the game, it gave me time to focus on making pictures I typically wouldn't make of a player such as him during any given game. From walking out of the club house, intimate portraits, to plays on the field, and hitting home runs, I covered every angle there was at Camden Yards of the all-star. It was great opportunity and had a lot of fun covering sports this way. Looking forward to the next assignment like it.